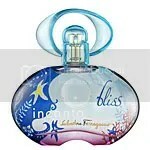 Incanto | Scent Addicts - Perfume reviews, fragrance news, & more! Incanto Dream is one of my top five favorite fragrances, Jax had some pretty positive feedback on Incanto Shine, and neither of us thought that Incanto Heaven was terrible. So of course, I naturally wanted to try Incanto Charms.